An actor who has appeared in the TV series "Ugly Betty" killed his mother with a samurai sword while screaming Bible passages, New York media outlets reported Tuesday. Michael Brea, 31, went on a religious rant, ordering his mother to "repent" before stabbing her to death, the Daily News reported. Sources told WPIX 11 News that Brea used a samurai sword to attack his mother, whose body was found hacked and decapitated. The victim, identified as 55-year-old Yannick Brea, was dead when officers arrived, WPIX reported. Neighbors told The Daily News that police refused to enter the apartment for about an hour despite pleas from them to do so. "I could hear her groaning inside ... She was still alive, but they wouldn't go in," neighbor Clinton Clare told The Daily News. He said he thought police waited an hour before entering. Neighbors on the first and third floors of the Brooklyn apartment heard screams coming from the second floor apartment at about 1:30 a.m., the station reports. Brea was arrested and taken to Kings County Hospital for a psychiatric exam. Neighbors told the Daily News that spattered blood was visible on the apartment windows. Police told WPIX 11 News the scene was incredibly bloody. 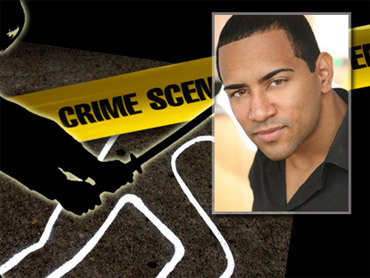 Other sources told WPIX 11 News that Yannick Brea had been decapitated. In addition to "Ugly Betty," the Haitian-American actor appeared in the movie "Step-Up 3-D" and starred in a campaign for the energy drink Full Throttle, according to a Haiti Internet movie database website.